America's opioid epidemic has ravaged the country by land, and is also making its presence felt by sea. Washington researchers tracking pollution levels in Puget Sound have discovered traces of opioids in mussels in harbors in the Seattle and Bremerton areas, according to the Puget Sound Institute, which is affiliated with the University of Washington. Through a monitoring program, the Washington Department of Fish and Wildlife found enough oxycodone for shellfish to test positive for the addictive prescription drug. Mussels are "filter feeders" and contaminants from their environment become concentrated in their tissues, according to a post on the findings from Jeff Rice, managing editor at the Puget Sound Institute, which participated in the analysis. To run contaminant tests, scientists transplanted a number of clean mussels from Whidbey Island to what Rice called "highly urbanized" areas away from any commercial shellfish beds. 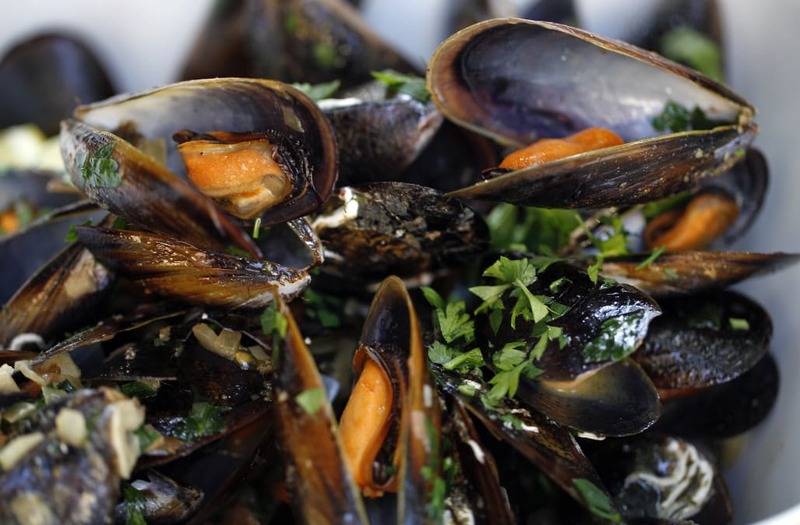 Researchers tested and analyzed the contaminants found in the tissues after the mussels had lived in the waters for two to three months, finding evidence of oxycodone – which is in brand-name drugs like OxyContin and Percocet – as well as high levels of the chemotherapy drug Melphalan. While it's not uncommon for researchers to find chemical compounds – from pharmaceuticals to illegal drugs like cocaine – in Puget Sound waters, this is the first time scientists have discovered opioids in the local shellfish, Rice reports. In this case, traces of the drugs likely made their way into wastewater and evaded filtration to reach the harbor waters. “It’s telling me there's a lot of people taking oxycodone in the Puget Sound area," Jennifer Lanksbury, a biologist with the Washington Department of Fish and Wildlife, told Seattle's KIRO-TV. Of note, the trace amounts of oxycodone found were thousands of times lower than what would be a typical dose for humans, and Rice reports the mussels likely weren't affected. Still, fish may pose an issue, as University of Utah researchers have shown zebrafish will willingly dose themselves with opioids, and scientists think other types of fish, like salmon, may act similarly. Scientists are continuing to evaluate the potential biological impact on Puget Sound species.